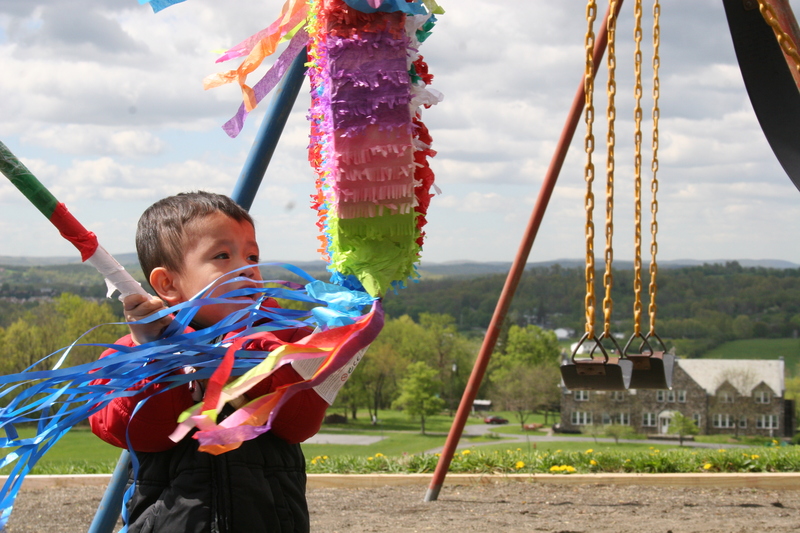 A student at House on the Hill Agri-business Child Development Center in Goshen, NY, takes a swing at the pinata during the Cinco de Mayo festivities last week. Cinco de Mayo is a traditional Mexican holiday marking the victory of the Mexican Army over the French Army at the Battle of Puebla in 1862. House on the Hill provides daycare and schooling to 65 children whose parents work in the agricultural sector. House on the Hill is part of a larger network of 13 centers across New York that provide these services. This photo was originally published in the Chronicle.